The wife is the guide for the husband and leads him. The parents are the guide for the children and lead them. The master is the guide for the disciples and leads them. The sovereign is the guide for the subjects and leads them. Between wife and husband needs to be distinction. Between parents and children needs to be closeness. Between master and disciples needs to be politeness. Between sovereign and subjects needs to be justice/loyalty. Between elder and younger needs to be order/ranking. Between friend and friend needs to be trust. Source: Gang Jeung-san Sangjenim completed the Samgangoryun (Three General Principles and Five Morals) by attaching the part about master and disciples (each number 3). 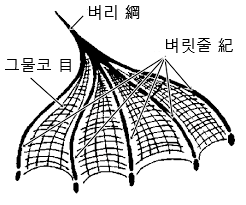 When you pull the "byeo-ri" (the guide rope), the "byeo-rit-jul" (the main ropes of the net) tighten, which causes the "geu-mul-ko" (the net) to contract and gather the fish inside the net. Comparable, when the wife acts as the guide rope and pulls the husband, who acts as the main ropes and follows the guiding well, to the right direction, the family can make harmony and become happy. 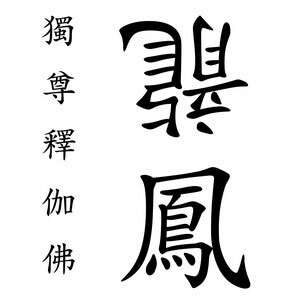 Furthermore they will be able to complete the Dao of wife and husband, which is the root of the human Dao. Actually, out of all the verses of the Sagangyukryun the part about wife and husband is the most important, because when the Dao of wife and husband is complete, it becomes the motive power for dragging out the Sangsaeng world. So far in the Sanggeuk world of the early heaven people didn't put enough effort into trying to make harmony. Therefore, Yin-Yang couldn't make harmony and the humans didn't properly succeed, so everything lacks something (politics, education system, society, etc.). Thus there are only empty shells remained now. In the later heaven this happening shouldn’t be repeated again. Briefly worded: from now on the people who cannot accept a wife guiding the husband or a women as a leader, will never be able to put their footstep in the later heaven. Therefore, you need to wake up your mind and accept this perception: The Women-World is coming!